The average SAP landscape is made up of 9 modules, running in 23 SAP instances, with 3,400 users, across 11 regions, and 36 locations. SAP landscapes aren’t simple – and yours is constantly changing to keep up with your evolving and growing business. So how can you be sure of the details of your SAP landscape in real time, including your interfaces? 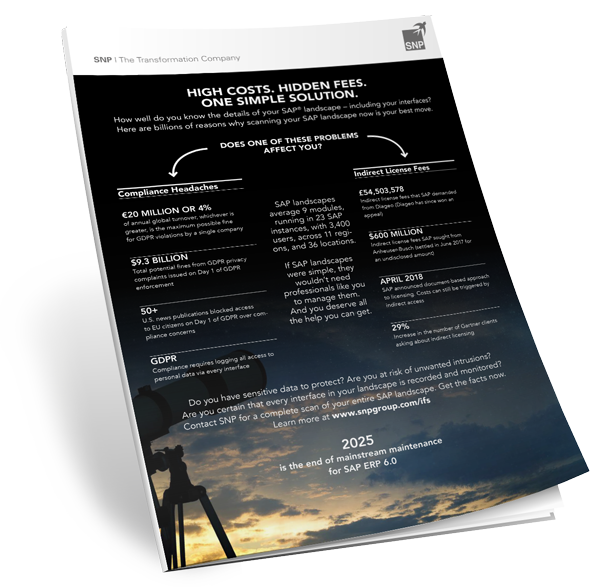 Download this infographic to learn billions of reasons why scanning your SAP landscape now is your best move.